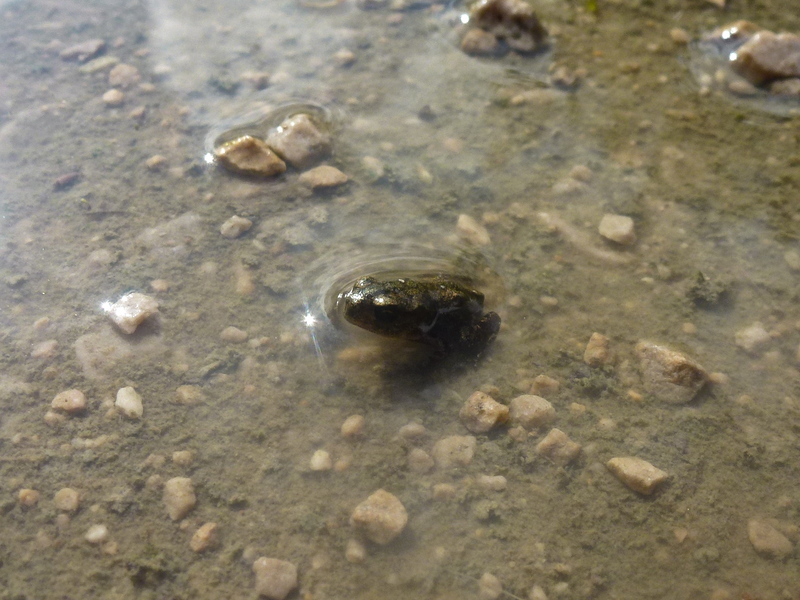 I noticed last Friday (8th July) that with the heavy rain, this year’s crop of amphibians were fledging and on the move, so if you’re near water – like the canal towpath, here at Anchor Bridge, take care where you put your feet. 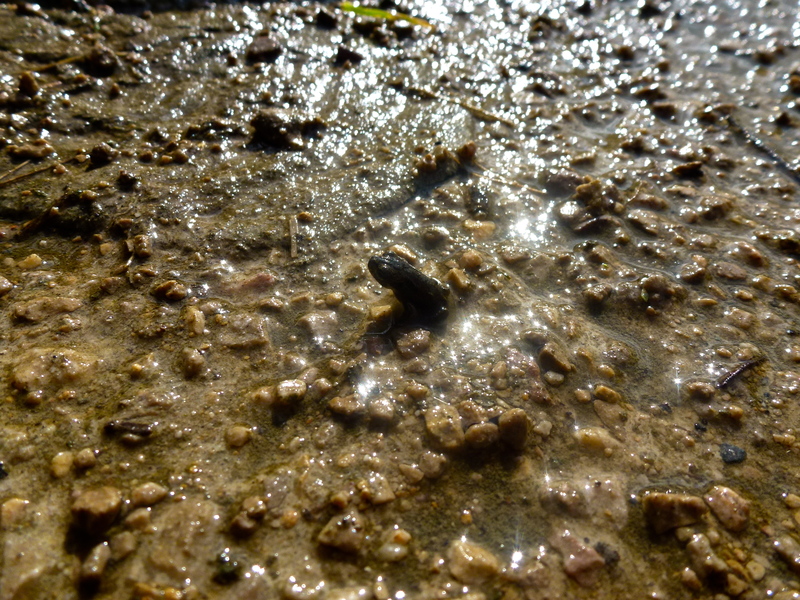 These guys were about the size of a shelled peanut, but they had bags of life. In a puddle on the towpath just past Anchor Bridge, Brownhills. 5:03pm, Friday, 8th July 2011. There were probably about thirty of the little fellows, just past Anchor Bridge, Brownhills. 5:03pm, Friday, 8th July 2011. 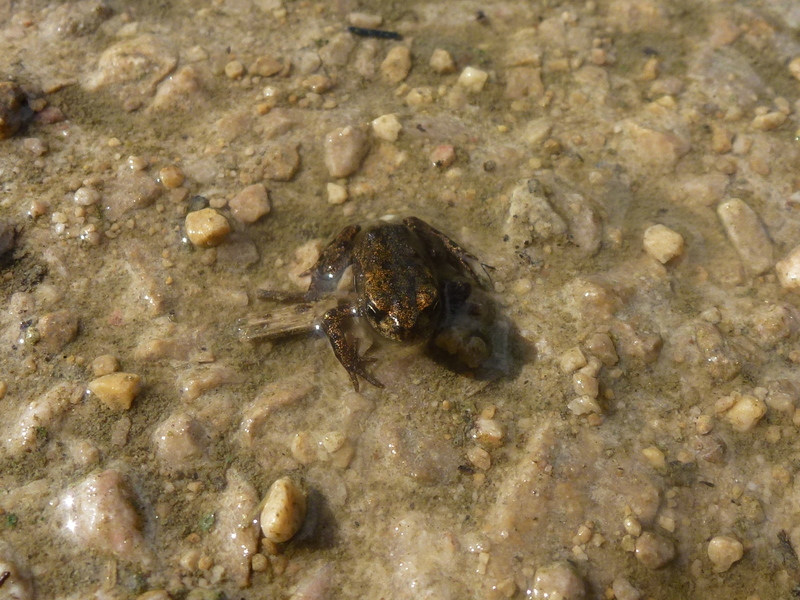 I wonder how many of these intrepid young amphibians will survive to mate next year? Just past Anchor Bridge, Brownhills. 5:04pm, Friday, 8th July 2011. This entry was posted in Brownhills stuff, cycling, Environment, Features, Fun stuff to see and do, Interesting photos, Shared media, Social Media, Walsall community, Walsall Wood stuff, Wildlife. Bookmark the permalink.